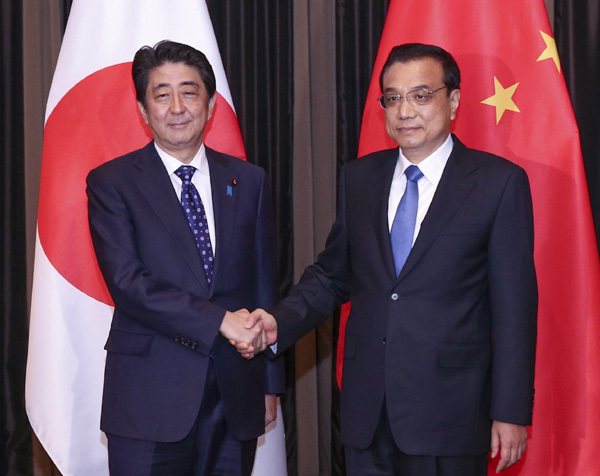 Premier Li Keqiang has urged Japan to properly tackle the issue of history "in a responsible manner" and to "undertake positive policies toward China". He made the comments when meeting with his Japanese counterpart Shinzo Abe for the first time in his capacity as premier on Sunday in Seoul. At the invitation of Japan, the meeting took place at the hotel where Li is staying. Both leaders attended the sixth China-Japan-ROK Leaders Meeting earlier in the day. Li made calls for "nurturing mutual trust" and "deepening pragmatic exchanges and cooperation" during the meeting. "The historical issue matters for the political foundation of the China-Japan relationship as well as the feelings of the 1.3 billion Chinese people," Li said. It is hoped that Japan will "fully perceive the great sensitivity, tangibly honor its solemn commitments made so far, effectively face history squarely and reflect on it, and properly tackle the relevant issue in a responsible manner," he said. Wu Ji'nan, a senior research fellow of Japanese studies at the Shanghai Institute for International Studies, said "revisionist impulses" in Japan over history may lead to new trouble. Methods to manage such conflicts have yet to be introduced between the two governments, and Japan's security policy campaign is "radical", he said. Wu said prudence is needed on the future of the relationship, and that further improvement of ties is being supported by bilateral exchanges. 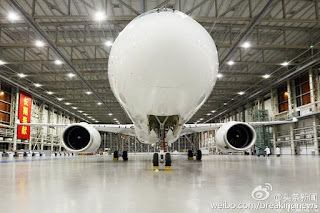 The sensitivity and complexity of the bilateral relationship is still highlighted and there is a long way to go before a normal path of development can return, Li said. It is hoped that Japan will "respect the concerns of Asian neighbors in the military and security fields, and do more to facilitate regional peace and stability", Li added. Abe said he will unswervingly improve and develop the relationship, and Japan will further take a peaceful path and stick to its policy commitment on self-defense. Japan is ready to further strengthen bilateral cooperation in fields such as finance, energy saving and environmental protection, and is "willing to embark on active negotiations at an early date" for an early realization of the China-Japan-ROK free-trade agreement, he said. 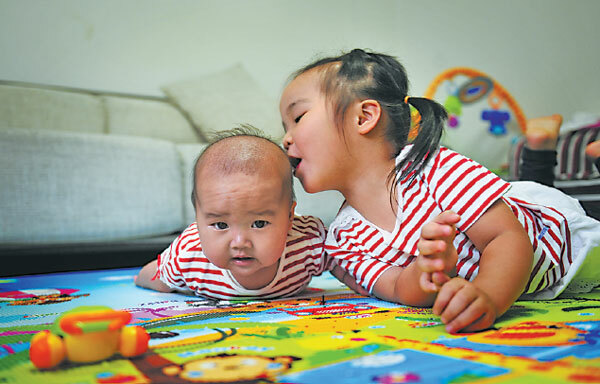 Commentary: China Lifts One-Child Policy to Two; What Now? China is to allow all couples to have two children. This well-received policy amendment has become a heated discussion nationwide. Many westerners are no strangers to China’s one-child policy. Ever since its becoming of the basic national policy in the 1980s, one-child policy has been seeing skepticism and oppositions for "human rights violation". Yet, the issue of population is a much more complicated problem than westerners could imagine, especially for a country taking up a quarter of the world’s population. The one-child policy was a tough decision made amidst dilemma. Now that it’s over 30 years after its implementation, the fact is that this policy did effectively suppress China’s rapid population growth. Lifting the one-child policy is an innovative continuation and reform from the previous population planning. China is facing issues of aging population and decreasing birth rates. The new adjustment is a wise move; it is an adaptive reform. The real question behind this policy is – what now? To both the central and local governments in China, issues such as whether people want to have baby remain to be solved. Furthermore, the rising cost of raising children, the weighty pressure of caring elderlies, and the rapid economic growth – all these issues have changed people's mindset on having children. Rather than relying on the new policy to take effect by itself, the government, regardless central or local, should step in by providing more supportive measures, such as subsidizing child and elderly care, and introduce more incentives for family to have children. All these will certainly help to achieve the desired effect of the policy. The change of population will affect the whole society. Not only does the lifting of one-child policy change a family structure, it also alters social structure as well as people’s mindset. Will there be more discrimination against women in employment? Will there be enough education resources for all? Will there be more demand for public services? In the process of lifting the one-child policy, it is essential that the Chinese government, while concerning the population issue, to have a systematic assessment and measures to react to any possible impact that this policy may bring to the society. Ancient Chinese philosopher Sun Bin once said in his Art of War that "Nothing is more valuable in the universe than human beings." People determine the destiny of a country. The single-child generation in China is to become the past. China is moving into an era of two-children. 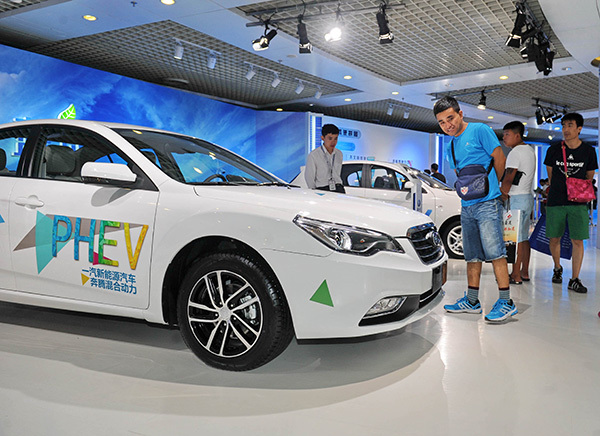 Annual sales of new energy vehicles will account for 20 per cent of total automobile market demand by 2025, according to a news report by Economic Information Daily, a publication sponsored by China’s official Xinhua News Agency. According to the newspaper, as new energy vehicles are widely adopted for household, governmental, public transport and logistical uses, annual sales of the vehicles will make up over 5 per cent of total automobile market demand by 2020, increasing to 20 per cent in 2025. 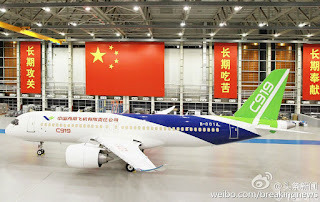 The report also mentioned that new energy vehicles from China's automakers will account for more than 80 per cent of market shares by 2025. 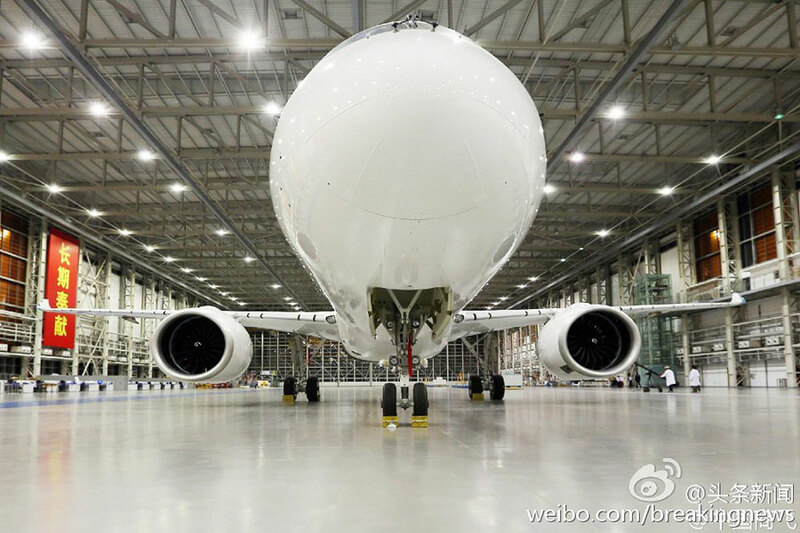 China has worked out a roadmap of development for new energy vehicles over the next 10 years, said the newspaper. According to the roadmap, by 2020 annual sales of new energy cars will exceed 1 million and China-developed vehicles will make up more than 70 per cent of market share. 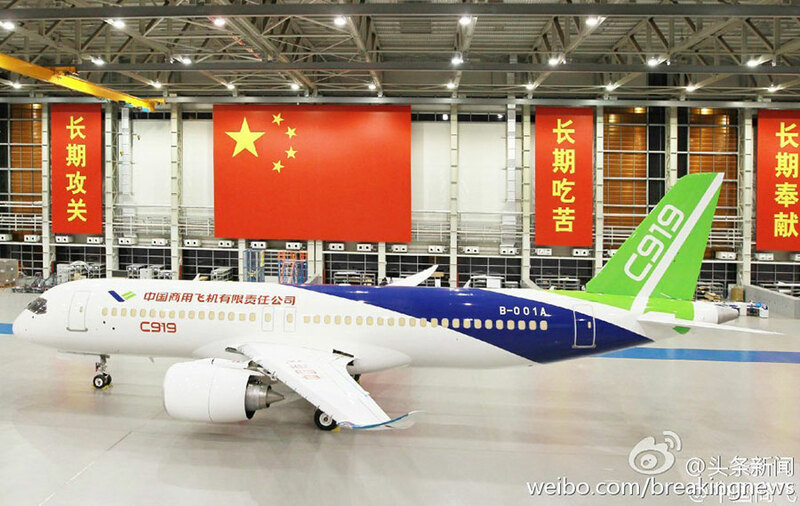 China has introduced nearly 10 policies to support the development of new energy vehicles in the first half of 2015 including reduction of new energy vehicle purchase tax and giving access to battery electric passenger vehicles. 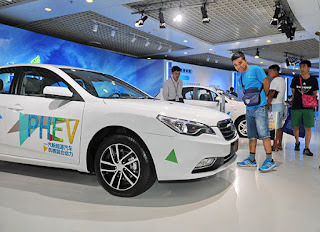 According to statistics from the China Association of Automobile Manufacturers, the accumulated production and sales of new energy vehicles in China in the first nine months have reached 144,284 units and 136,733 units respectively, increasing 2 and 2.3 times year on year. Based on these statistics, sales of new energy vehicles in 2015 overall are expected to reach 200,000 units. Not only does central government invest in new energy vehicles, but also local governments give support to this programme, said Zhang Junyi, a partner of Roland Berger, motor industry consultants. 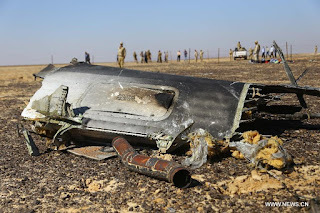 It’s been reported that the Russian aircraft disintegrated in midair before it crashed over Egypt's Sinai Peninsula on Saturday. 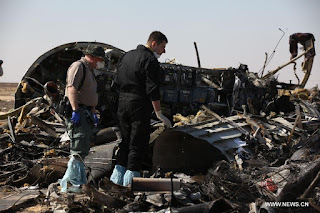 Russian Chief of invitation panel Viktor Sorochenko said it was too early to determine the cause of the tragic accident. Sorochenko leads an international committee made up of experts from Russia, Egypt, France and Ireland to probe into the incident. 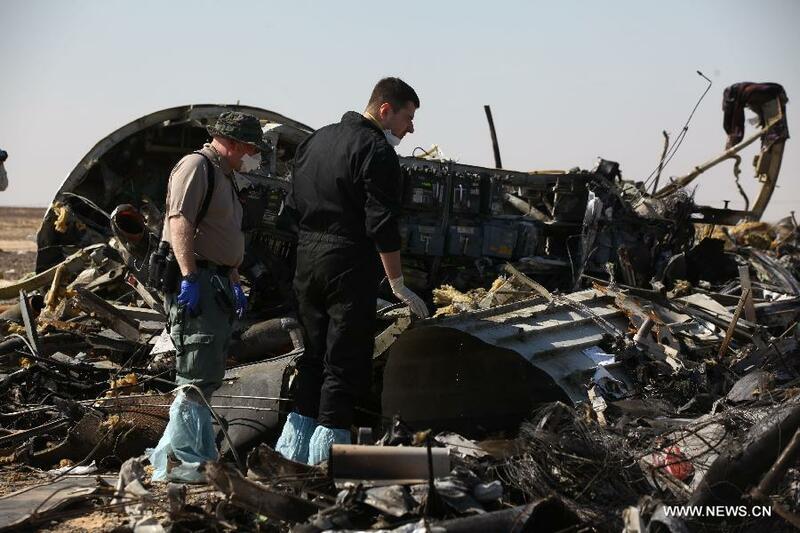 The investigation began early on Sunday, starting with analysis of the plane's two black box data recorders. Meanwhile, the Egyptian Forensic Medicine Authority has begun to deliver the bodies of the victims to the Russian Embassy in Cairo. As many as 187 bodies have been recovered thus far. The Egyptian cabinet said that the search has widened after finding bodies scattered across eight square km. 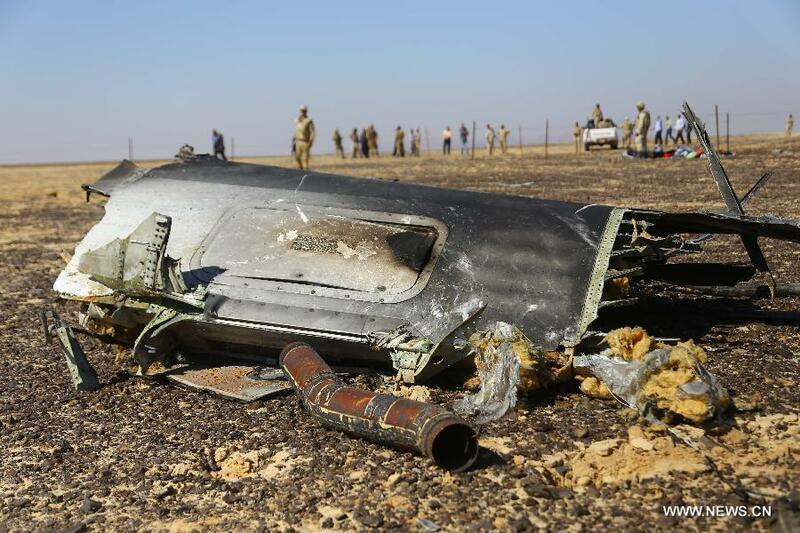 A Russian airliner, with 224 passengers and crew, crashed into a mountainous area in the restive Sinai on Saturday. A militant group affiliated to Islamic State in Egypt claimed responsibility for the crash, but this claim has not been verified.